Construction has now reached its highest point with the topping out of Marrick & Co.
We celebrated the milestone with a rooftop gathering where we were joined by the creative team who have contributed to the project, including BVN, the architects behind the library, and Tonkin Zulaikha Greer who designed the residential buildings in collaboration with Mirvac Design. Our special guests included Indigenous Elder, Aunty Donna Ingram who delivered the Welcome to Country, followed by a smoking ceremony, a traditional cleansing of the site. 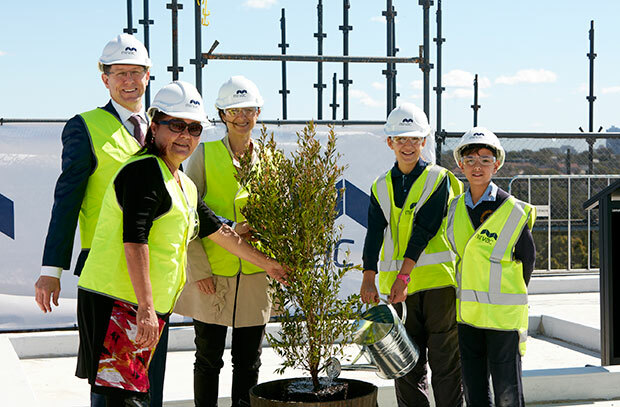 Students from neighbouring St Brigid’s Catholic Primary School also attended the ceremony, assisting Toby Long, General Manager of Residential Development NSW, plant the first tree for the future rooftop kitchen garden. 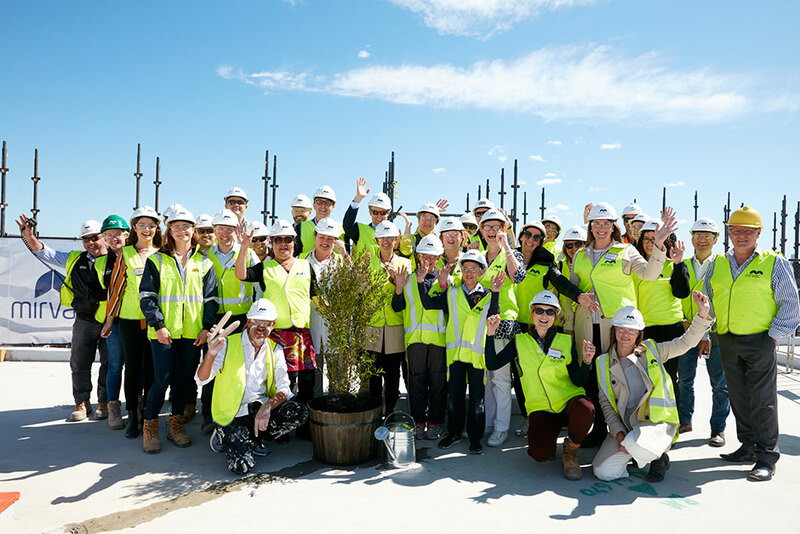 From the rooftop, guests gained an appreciation of the sensational views that future residents will enjoy, with the north east vista dominated by the skyline of the Sydney CBD. Marrick & Co will be directly adjacent to a brand new library and community hub, green space, and sustainably designed, quality apartments. Having reached the top level, the countdown to completion is now on and we anticipate welcoming new residents to Marrick & Co from mid-2019.